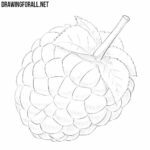 Many of our readers love to draw in the genre of still life, which depict various vegetables, fruits and other objects. 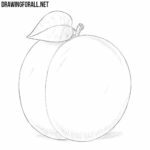 We also love this genre of fine art, and therefore we provide you with a number of different lessons about objects that can be drawn as part of a still life. 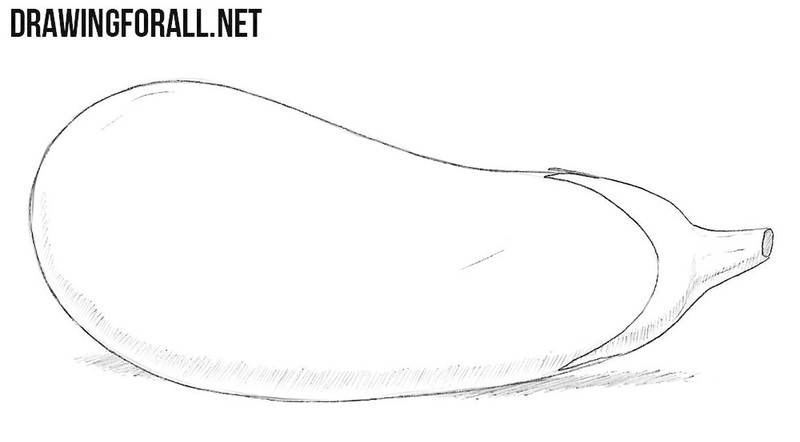 And another our lesson on this topic is about how to draw an eggplant. Almost all our lessons about fruits and vegetables start with simple circles and ovals. But here we will have to draw a slightly more complex geometric shape, similar to a curved oval narrowed on one side. 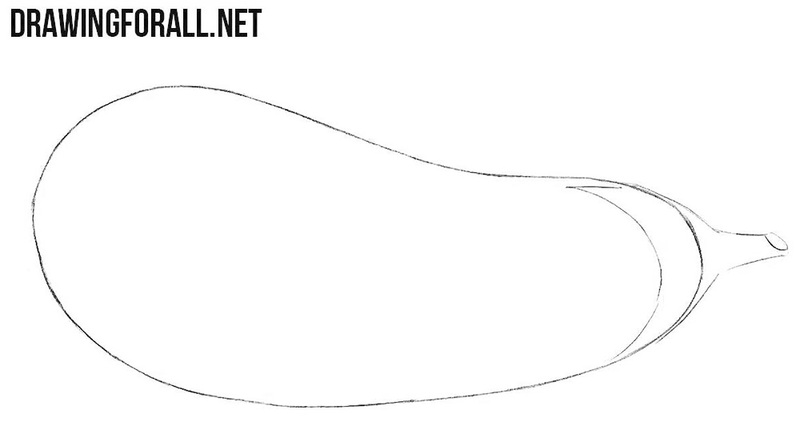 The “body” of our vegetable is ready, and now we make our drawing more similar to an eggplant. To do this, we sketch out the outlines of the stem on the narrower part. Try to repeat the contours and proportions of the parts as in the example below. In the previous two steps we outlined the contours of our eggplant, and in the step number three we will make our sketch more clear. To do this, we draw out the picture with dark lines and delete unnecessary guidelines. The last step by tradition will devoted to how to draw shadows. So with the help of hatching draw the shadows in the bottom of the vegetable. 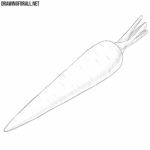 Next, draw the cast shadow on the surface on which the vegetable is located. 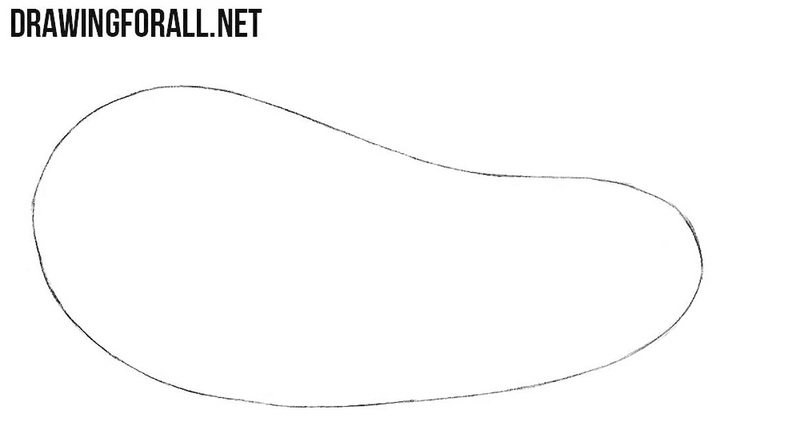 So today we showed you how to draw an eggplant. This lesson was divided into four very easy steps, which consisted of extremely simple lines, and we think that all our readers will be able to cope with this guide. 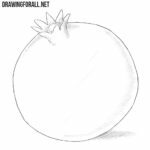 This tutorial will be useful not only for those who like to draw still lifes, but also all the other artists who want to be able to draw a variety of subjects. 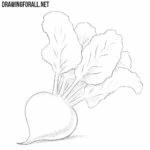 To improve your skills, try to draw this vegetable again, but without looking at this page, only using the knowledge gained from our article. If everything worked out for you, go to the next drawing lesson to take your skills to a new level.